It’s summertime and that means it’s time to binge. People indulge in all sorts of binges during vacation time. We binge on the beach, the sun, the surf, on fruit, fresh corn, Netflix, novels, and sleep. Nothing wrong with that but with summer bringing a change in routine, why not also indulge in some binges for your soul? Using a chronological Bible, binge read the sections that include Jeremiah and Ezekiel. The history of the kings and the dispersion of the Jews interspersed with the relevant prophecy will shake up your perspective on biblical times but also on the days in which we now live. Read all four gospels and the book of Acts in one week. That’s about seventeen chapters per day. For a different experience, try listening to an audio version, this will make it easier to keep scripture in your ear throughout the day’s activities. Read the Psalms in one week, that’s approximately 21 Psalms a day. Try reading one or two per hour or seven at breakfast, seven at lunch, and seven at dinnertime. Spend time with the twelve minor prophets – Hosea, Joel, Amos, Obadiah, Jonah, Micah, Nahum, Habakkuk, Zephaniah, Haggai, Zechariah, Malachi. This may take more than one week but you could designate it for the month of August. Do a Google search for “12 Minor Prophet Reading Plans” and you’ll find many for four weeks. When was the last time you read The Revelation of Jesus Christ? It contains the promise of a blessing for those who read it, hear it, and heed it. With 22 chapters, you can read it in one week or even five days. Go deeper instead of wider. Spend one week studying a single passage in depth (such as Romans 8) or study one word (such as steadfastness, glory, or grace) and all its occurrences in Scripture. Turn off the TV, put down the novel, and devote your time for one week to praying for the world. Using a guide such as An Insider’s Guide to Praying for the World, or a globe or atlas, simply devote one day to prayers for each continent. Intercede for the lost. Intercede for the national Christians ministering in those places, as well as for missionaries. Pray for the leaders of those countries, and for poor and oppressed. Spend a week bathing your inner circle in intercessory prayer. On the first day, list all your family, loved ones, dearest friends and co-laborers in the kingdom. Ask God to lead your prayers for them. Look up specific scriptures to pray for each one. Pray for your community, the field in which you labor, intensively for one week. Take prayer walks throughout the area, walk around your place of fellowship while praying, invite others to pray with you and walk with you. You may even choose a day of fasting. Intercede for your community and listen to what God has to say. Devote a week to seeking God’s direction for your life in every area. Perhaps you’re at a crossroads – pray at every opportunity for His guidance. Perhaps you’re right where you belong – pray at every opportunity for God to open your eyes to ways to go deeper with Him, to engage more effectively with those around you, and to mature in your faith. Wouldn’t it be fun to binge on blessing others for seven days? How many ways can you find in one week to serve those around you or to surprise them with a special visit or gift? Cook a meal each night to deliver to a family in need or to families that serve your church. Visit an older neighbor or church member each day and listen to their stories. Choose an amount of money you might normally spend on entertainment or dinner out in one month and bless someone with an unexpected, anonymous gift. Bring baked goods to the first responders in your town. Help a friend with home improvement project. Volunteer to care for a weary mom’s young children for a couple hours every afternoon for five days. Write notes to friends and family far and near with words of what they mean to you. Binge on blessing and it will return to you. Binge for a week on praising and thanking God. Prepare for this by putting notes throughout your home, workplace, and car with Bible verses describing God’s attributes, His amazing acts, and His deeds. Play hymns and praise songs throughout the week. Pull out your guitar or other musical instruments and make music to Him. Make lists of the ways He has cared for you, blessed you, and provided for you. Write poetry about what He means to you. Create a wall of thanks in your home and cover it with post-it notes of gratitude to Him. Offer to begin or end your week by offering a testimony of God’s work in your life to your congregation or small group. Praise Him through social media or aloud to loved ones. Fill every corner of your world with praise and gratitude for a week-long binge. I hear people complain about the poor quality of Christian books, movies, or art and I encourage them to update their views. There is much excellent work being produced by Christian writers, filmmakers, musicians, and artists that would benefit from the support of other believers. God calls us to encourage one another and spur one another on to love and good deeds. 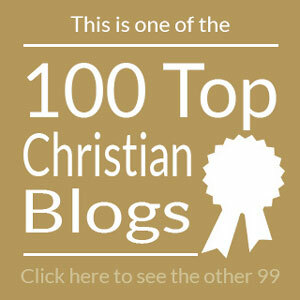 Explore the work of Christian artists for a week. Surround yourself with the art, music and literature of other believers. If you find them a blessing, spread the word about them, send them a note, or write positive reviews for them on Amazon, Goodreads, and other avenues for media. If you’re not interested in modern Christian arts, immerse yourself in hymns, classical compositions, historic Christian art, architecture, poetry, and writing. Terry Glaspey has a wonderful guide called 75 Masterpieces Every Christian Should Know: The Fascinating Stories behind Great Works of Art, Literature, Music, and Film. It’s a lovely, informative tool. If you love the art of quilts, Ramona Richards has written My Mother’s Quilts: Devotions from a Legacy of Needlework. New fiction writers you may enjoy (and for whom I can personally vouch) are, James L. Rubart, Felicia Bridges, Colleen Scott, Aaron Gansky, D.L. Koontz, Tessa Ashfar, and Liz Curtis Higgs. Expand your experience of God by seeing Him through the eyes of Christians in the arts. Binge-ing can be beautiful and beauty is as restorative as a vacation away. Summer is a wonderful time to binge. God certainly binges on lavish greenery and flowers, on painted sunsets, on sparkling seas, and cooling mountains. Our souls can benefit from a binge if we binge on things of Christ. Choose any of the binges above and I guarantee you’ll find refreshment and restoration as if you’d vacationed by the sea. I am always eager to learn more about you, loved ones! Read my About You page to explore what I already know but if I haven’t written about YOU on that page, let me know more about who you are, what you care about, and what you’re hungry to read. Send me an email at lorisroel@gmail.com! Lori This is an amazing resource and source of encouragement. Thank you for the reminder. I was just thinking of reading my chronological bible. God is so good to use you. Have a blessed week.